A new attendance system, especially one that uses fingerprint recognition, is the new face of keeping track of employees clocking-in/out and maintaining accurate payroll. No need for the stereotypical punch cards and less than accurate timekeeping. The biometric method of keeping attendance disallows so-called "buddy punching". This trick lets an employee punch in the card of a friend in the event they are late for work. With fingerprints being absolutely unique to each employee, there is no chance of this method of trickery to be used. Using a brand new biometric recognition attendance system, it removes the overhead and extra work that it takes to collate all those punch cards and removes any errors or misinterpretations of the data. Employers and employees alike do not have to worry about losing punch cards and therefore negating the extra expense to the process. The biometric reader is very user-friendly and can store thousands of fingerprints which makes things easier for all involved. 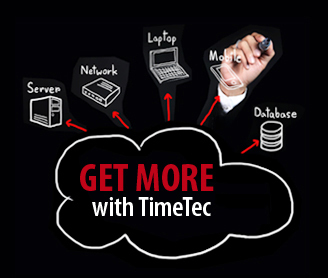 Upgrading your attendance system will make staff management so much easier in the long run. Also, your human resources staff, accounting, and payroll departments will thank you for it. So replace those old-fashioned and outdated punch cards with the next wave of tech. Today I was at the JW Marriot hotel in the heart of Kuala Lumpur, attending Social Media Marketing Master Class from Mr Luke Brynley-Jones, one of the UK's most experienced and best known social media consultants. A trip if during weekend would only take 15 minutes from my house, on a sweet Monday morning like this, it could simply surpass an hour mark with no traffic police sighted along the way. Oh, how I dreaded the early morning jam but at the same time I was so thrilled to explore the opportunities that social media could bring to our brand and our business. We started with Facebook and Twitter some years ago with doubts in our heads. Would this work? Who would Like us? Who would follow? Would the industry take us seriously? I understood all the concerns but at the same time, there was something about the social media that just couldn't be ignored. Exposing our brand to a large number of targetted audience via a cost effective measure and it is permission marketing, it is just too good to pass, isn't it? But the question remains, how could FingerTec be in the social media when we are not a consumer brand. We are not selling toothpaste, we are not a brandname of a snack or fizzy drink, we sell hard stuff industry products. Many of our clients have question marks on their heads and even now some are still raising eyebrows with our involvement in the social media channels. These platforms are meant for social, not business.. so they say. This seminar convinced me that we are on the right track. Even though we understand the power of social media marketing to businesses, we still lack of understanding on how to strategically plan the social media marketing to get the best out of the audiences in these platforms. There are a lot of ground to cover to stay active and effective in this marketing mix. Selection of channels, the question of ROI, the reputation we need to maintain and manage, strategies to plan, etc. FingerTec Facebook likes are now approaching 19K and counting. We have gathered our fans from around the world though our efforts and through our partners' Facebook pages. Though compared to Coca-Cola, our number can be considered miniscule, we are proud of where we are through the efforts that we've put on so far. One interesting point to note about our target in social media marketing is that, FingerTec is not here to hard sell our products, we are here on these platforms to connect with all FingerTec users around the globe who have been using the products for attendance and for their office security. Positive or negative feedbacks, we accept them. And we warmly welcome your presence on our social networking space, to be a part of our lives. Most businesses use typical doors that use keys to lock and unlock them. Let me tell you one thing: these businesses are vulnerable to theft and burglary. Yes, given enough time any determined thief can pick the lock. But what if a thief came upon the door only to find out there is not keyhole at all? All there is is a door held in place by a deadbolt securely hidden behind a fingerprint door lock. Besides actually installing the fingerprint door lock to your door, which is pretty much the same as with a key door, all you have to do is program in the fingerprints of those who you want to give access to. You do not have to worry about keys that could potentially be lost, stolen, or duplicated without authorized consent. You also do not have to worry about unauthorized access by new employees and pesky corporate espionage attempts. Some models of these locks have a time keeping system that actually tracks who entered and exited at what times which is an added security barrier that many big businesses should use. Installing one of these locks will benefit you in the long run so order one now! I wrote, “You were our pride, and will always be on our minds.” on his Guest Commemorative book before I left the Memorial Hall. I was in Beijing on 10th April, attending the 6th anniversary ceremony to commemorate the late Professor Wang Xuan (1937-2006), the founder of Peking University Founder Group, and who was also a great scientist. But most of all, he was my mentor. Without him, PUC Founder of Malaysia wouldn't exist. Without his encouragement and support, we will never venture into biometrics technology. 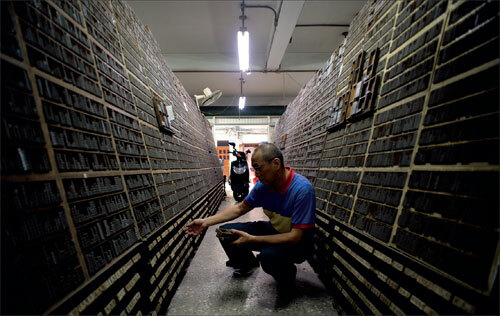 He invented the first Chinese Laser Typesetting System, helping China to abandon the conventional typesetting system. I still remember in the 80s of last century, English Electronic Publishing System had already been widely adopted in the printing industry. But for the Chinese language, it was still at the research level, to contain the large amount of character sets (more than 10 thousands) by using the 26-Roman character keyboard, or on the verge of the Chinese input method, not to mention the printing press that required high quality fonts. How to convert the jagged Chinese characters into a smooth vector font? How could Founder achieve the same output speed on the then computer for the same size of page that contain an average of 100 times more different Chinese characters than an English page? How to paginate a Chinese content on a computer? Besides, unlike the A to Z of 26 characters, to create the Chinese font, every different typeface has to be crafted approximately to 10 thousand separate characters. 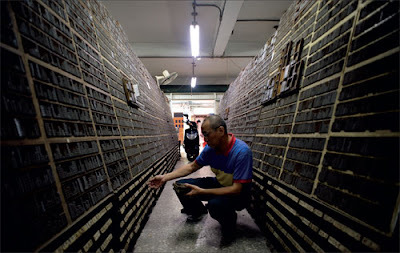 If all these hurdles remained unsolved, the Chinese nation that once invented paper in the 1st Century and movable clay typesetting in the 11th Century would have been trapped forever in the conventional way of lead-cast Chinese typesetting that was being used for the past hundred years. 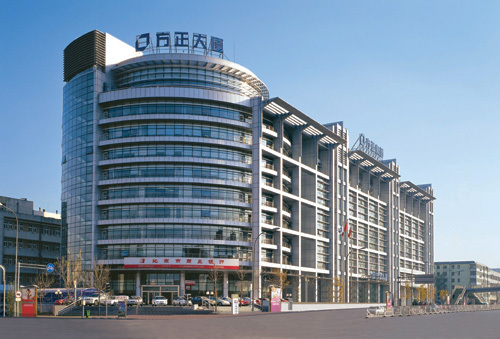 The Chinese publishing industry would have fallen untimely behind in the computer era. 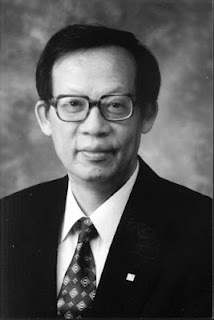 Started as an academic research project at the University in 1975, with all the hardship Professor Wang underwent, eventually his invention had helped revolutionize the whole Chinese printing industry. The commercialization process of his research work also helped to expand the entities owned by Peking University into a very large and successful enterprise. 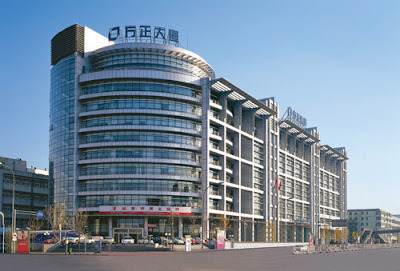 Today, Founder Group has an annual turnover of USD 5 billion, and a staff force of 20,000, diversifies businesses in real estates, hospital, securities and etc in China and some other countries on top of its core Electronic Publishing System and other IT products. With the guidance of Professor Wang, I co-founded PUC Founder in Malaysia in 1995. The company was later developed and listed in Malaysia Stock Exchange. He knew that the Chinese electronic publishing industry might not sustain our long-term growth in this region. He then introduced to us two researchers that worked on fingerprint verification algorithm from Peking University, and he encouraged us to take on the new challenge that finally initiated our new venture. 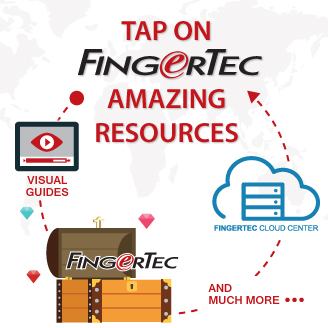 That’s how FingerTec began its long march, and the rest is history. Overall, I'd like to think he had a great influence over me not because he was a great scientist, but rather because he was a great man. He once said, "You have to be a respectable man to build a respectable business." And, true enough, he did lead an exemplary life. It is hard for a big company to keep track of every employees comings and goings. Realistically, it is very hard for a company fully monitor staff. If a company has several dozen or maybe even a hundred or so employees working in a single building, it is a logistical nightmare for them to see who is in that day, what time they took off, if they came in at all, where they where at the time they clocked in, and so on and so forth. This is where employee clock in software comes in handy. 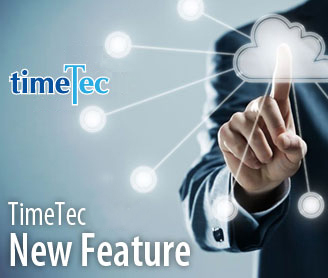 Employee clock in software allows a company to ensure detailed and accurate accounting with who was present for work during what hours and for how long in a single day. With this software as part of the company's overall security system bad employees will not able to "game" the system for paid hours they did not actually work. And as part of the security network, this software will be able to track which places were accessed by certain employees; thus eliminating unauthorized access during non-work hours. When looking to build or upgrade your security system be sure to keep this option in mind in the future. Coming home late from work last night I walked into my apartment complex's building manager and we got to chatting a bit about this and that. He is a nice guy and very cordial which made it easy for us to talk. A few minutes into the conversation we got into the topic of a string of break-ins the last couple of weeks in the surrounding area; about four in almost as many weeks. I said we were lucky our building has yet to be a target. He agreed but was still wary about the whole thing. He said he was thinking of installing fingerprint door locks on the main entrances and the side doors. I was surprised by this and asked him if that was necessary. He shrugged and said it might be a good idea to add this upgrade to the building. I was worried it would cause problems getting in and out for tenants but he said that our fingerprints just need to be inputted as part of the memory inside the fingerprint door locks. He said it might take some time to get everyone's fingerprint in the system but it would be worth that extra layer of security not to have the building and our rooms broken into. After 6 long years of having the same look, for the first time our website went through a total facelift. Let me walk you through its major changes. We consolidated the initial two front page contents into one page, and rearranged the scattered icons in a more orderly manner. We also adopted SEO (Search Engine Optimization) concept and integrated its elements holistically. Our website never had a conventional structure that incorporated our company profile as one of the major features, even when its appearance was minimalistic. When we first started the simple look, I even calculated to reduce the total wording for the front page just like Google’s striped bare search page. I also removed the lengthy company achievements, investors’ relationships and the content I felt was unnecessary. I wanted the website to be a fully useful and straightforward e-commerce site. And I did all these for another reason: to reduce the burden of translations for our multilingual contents. My SEO consultant friend who is famous in his profession once reminded me that our website was not SEO-enabled. After I explained the rational, he agreed that our website should stay as it is. The unconventional design had attracted more customers than what I had expected. We prosper in business, and I attributed the success to the practicality of the webpage and its component sites. 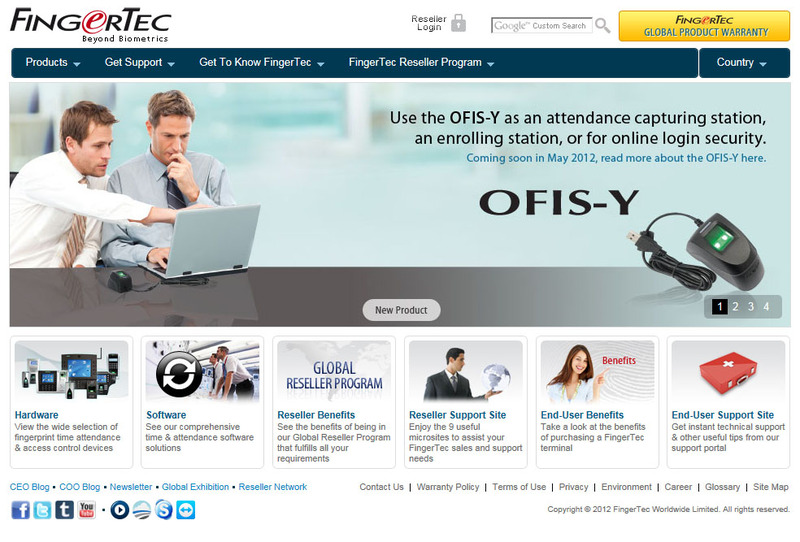 Unlike many B2B websites that focus more on resellers and particularly sales but with minimum support, our major efforts went into technical support for resellers, and it has been extended to the end-users as well. Our contents swelled over the years. More functional icons were created. The initial simplified design could no longer accommodate our advancement, resulted in some new icons landed on unsuitable spots. It had also becoming difficult to keep pace with various translations. And to maintain simplicity on the first page, we have to expand to the second page. But it had cost users a few more clicks to get to the target. Eventually our website’s concept of simplicity had lost its original appeal. The worse part is, this is just the present, how about two years down the road when our contents doubled? Hence, the restructuring of our website became inevitable in our case. This time, we had to embark in a different direction. We had to fix the existing weaknesses. We had to sacrifice some ideologies. We had to consider conventional wisdom. But we still have to uphold the ultimate objective of providing sufficient service to the resellers and end users. The consolidation and restructuring should help us enhance our objective to a greater extent. In the process of creating a new front page, we debated endlessly about the new order - what would be primary, and what should be secondary? What would be the buttons with reduced point size, and what should be kept as icons? What would be in the drop-down menu, and what should take center stage? We had brainstormed extensively to come up with this new look. And Tamy Phoon, who has been assigned to head this revamping project, had, and still has to take care of the SEO efforts at every turn taken. Replacing the old with something new is always an excuse for pride. But for a website that had done so much for us and carried a houseful of meanings and oversaw the growth of our brand, I felt nostalgic for the farewell too.